Our ten year anniversary will pass us by in a couple of months, so I can’t quite help but think back at our wedding day. 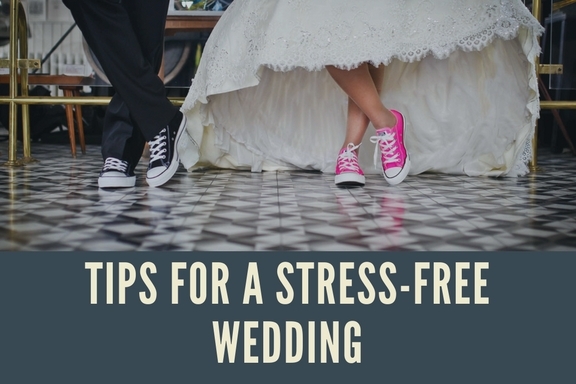 One of my close friends commented at the time that I was the calmest bride she had ever met so I thought it might be a good idea to share some of my tips on having a stress-free wedding with you! Your wedding day can be a day of great expectation from both yourselves and your extended family members. 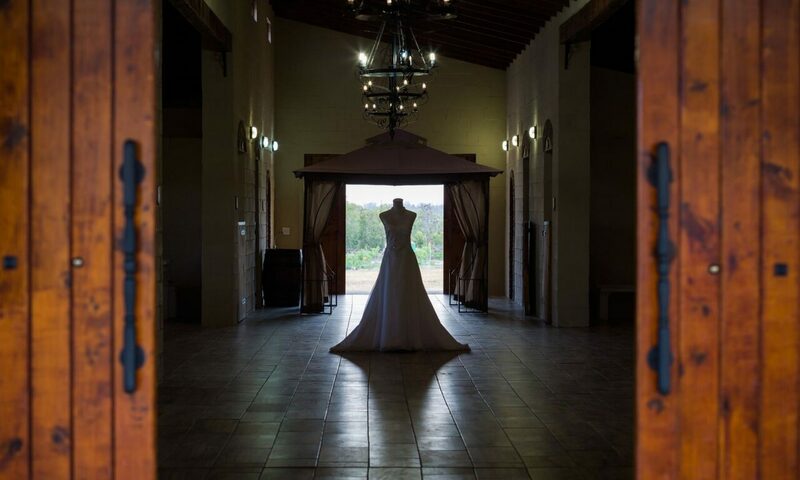 Getting everything perfect can be an impossible mountain to climb and attempting to attain this unrealistic standard of perfection can turn the best of brides into the dreaded “Bridezilla”. So, what can you do to remain balanced in your viewpoint and plan an enjoyable, stress-free wedding? A wedding is a celebration of love and union between yourself and your partner. However, an important thing to remember is that a glorious wedding is not what makes a marriage. The wedding day marks a turning point in your life, but your marriage in the days after the wedding are much more important than the wedding day itself. And, reality check, the day is such an exhausting and emotional blur of activity, you will hardly remember the finer details in any case. Your guests are probably going to get more out of the event then you, yourself are. Nevertheless, this day is about you, and the day should reflect your two personalities and relationship. Obviously, the first thing to do is plan. Sit down and discuss exactly what you want out of your wedding. Do you want something more or less formal? Summer or Winter? Colour preferences, number of bridesmaids, etc, etc. Some grooms are happy to leave all the planning to their brides, but this day is about them too and they should have some say, even if it is just the flavour of the cake! Have a think about your relationship so far. Is there something that defines your relationship that can be incorporated into your wedding? For example, if you have spent many of your date nights searching for the perfect hamburger, why not serve hamburgers and chips at your wedding? If you love the outdoors, plan a picnic lunch (but be sure to choose a time of year when there is less likely to be rain and have a backup plan in place). Once you have an idea of what you would like to achieve, the next step is to decide on a budget. One of the most difficult aspects of wedding planning is sticking to a budget, however, there are definite advantages to doing so. You do not want to spend your wedding day feeling guilty because of how much money you have spent, and you definitely do not want to start your married life with the huge financial burden of paying off a wedding you couldn’t afford. Sometimes extended family members can be traditionalists and expect certain events and traditions to be a feature of your wedding. However, weddings no longer necessarily need to be the formal events our grandparents had. Once you have decided what traditions you wish to keep and which ones you wish to lose (baring in mind any religious affiliations either of you might have), it might be prudent to discuss with your family members your thoughts on the various traditions. Keep calm, explain why you don’t wish to adhere to those traditions you don’t like and give your family members time to come around to your way of thinking. This is an especially important discussion to have with those helping you pay for the wedding. Of course, those family members that are helping you to pay for the wedding do have a say and some compromises may have to be made. Planning a successful wedding can be a lot of work and very few people can cope with attending to it all themselves. If you can afford a wedding planner, most of the details will automatically be dealt with. However, if your budget requires you to do the majority of the event planning yourself, learn to delegate. Most people are willing to help and are enthusiastic to do so, so use your resources. If your Aunt Gertrude is good at flower arranging, ask her if she would like to help with the bouquets. Perhaps your mom has a flair for crafts and can help design the invitations and table decor. Try to delegate tasks in accordance with the strong points of each individual in mind. You might be surprised at how enthusiastic everyone around you is and most will find it a compliment to be included. Once you have delegated the various tasks, trust your team members to continue with their projects. They may require some input from you, but let them do the work; that is why you asked them to help in the first place, is it not? If at all possible, this is the day to take easy. 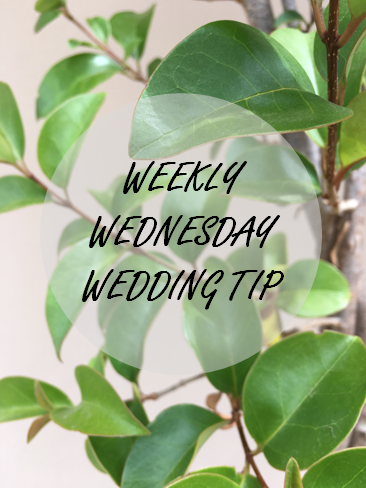 By now everything should be sorted and everyone involved in the planning should know exactly what they need to do during the hours before the wedding, leaving you with (hopefully) nothing to do. This is the day to relax so that you can be fully refreshed for your wedding. Try to get a good night’s sleep. We all know that wedding excitement and jitters might make that a little difficult, but this night is not the right night for that Bachelorette Party. You don’t want to wake up with a hangover and bags under your eyes. You want to enjoy your wedding day to the fullest extent possible. It’s going to be a long one! Another reason to have bachelor and bacholerette parties more than one day before the wedding is because alcohol-fuelled pranks can go wrong and leave you in a difficult predicament. My favourite example is the story my parents tell me of the groom who, after a hard night of partying, woke up on the morning of his wedding on a long distant train, well on his way to a distant city. It is almost inevitable that something will go wrong during the planning stage of your wedding or even on your wedding day itself. We all know that these stories are cause of much mirth and amusement later on, but can be very stressful at the time. Therefore, your attitude towards mishaps is crucial in your having a good day. Accept that something will go wrong and deal with it when it does. Your good attitude towards the glitch will help smooth it over. Planning a successful wedding can be an extremely satisfying and enjoyable project and those around you will want to make your day as perfect and memorable as possible. We wish you every success in your wedding plans, and of course, in your marriage.